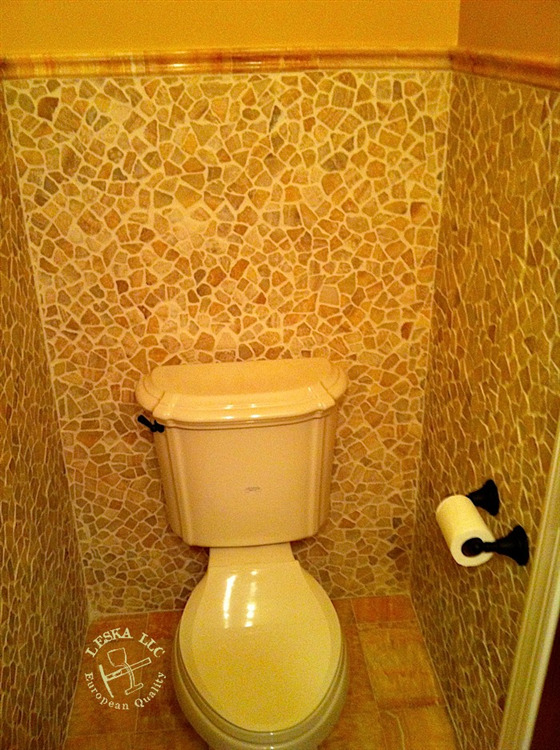 This owner wanted to add character and spa feel with earth tones to their powder room in Bethesda MD. 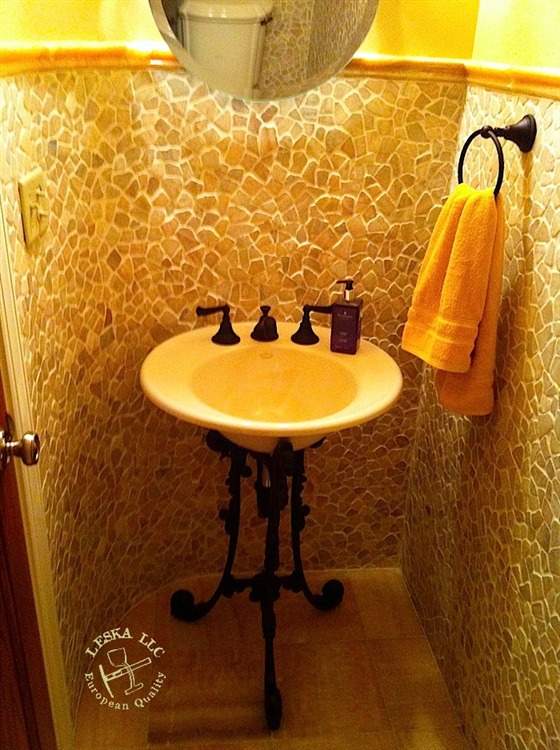 Pebble Stone mosaic tiles were installed on the walls of this powder room in addition to wrought iron sink base with matching pendant light. Epoxy grout was used to preserve the crisp white grout.